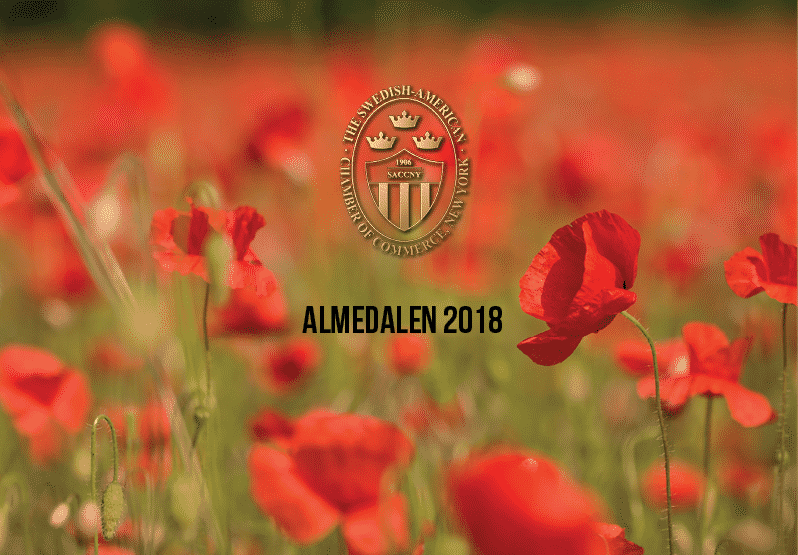 The Almedalen Week celebrated its 50th anniversary this year. For those of you who are unfamiliar with the unique event, one could describe it as a democratic platform where representatives from the political, as well as financial and social arenas in Sweden, gather to discuss societal issues, innovation, and the future of business. 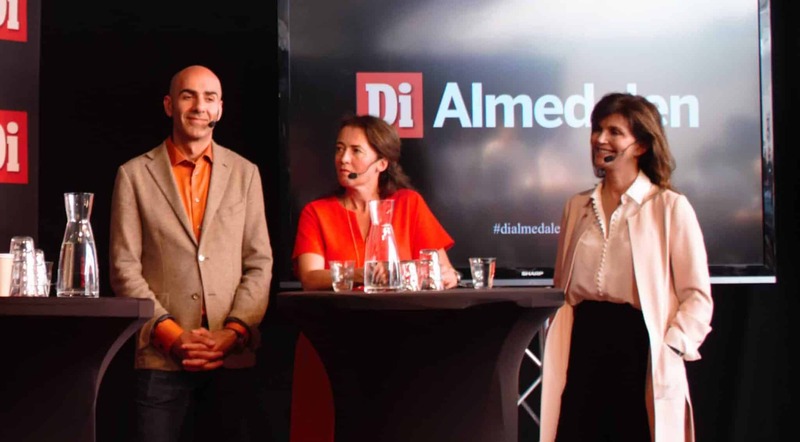 The Almedalen Week is an important platform for both educational and inspirational purposes, and this year three SACCNY representatives were present to participate in panels and business networking events; our President, Anna Throne-Holst, our Business Services Manager, Johannes Jarl, and Yasmina Backström, our Head of Communications. 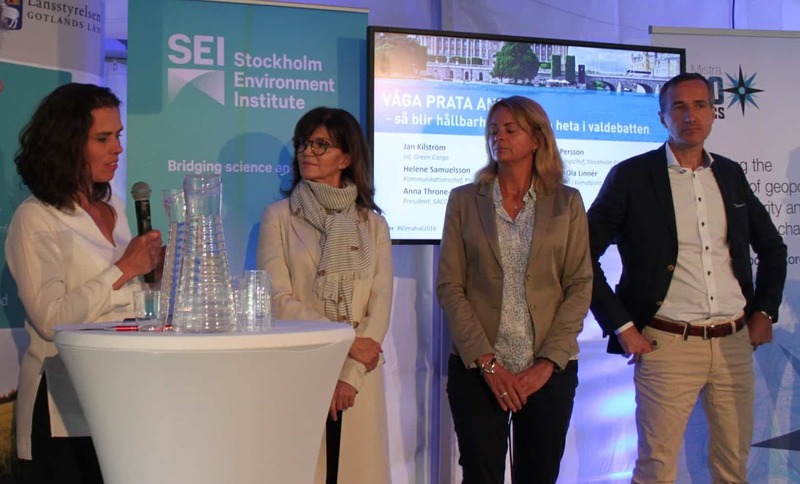 During the week, Anna Throne-Holst took part in numerous seminars and panels which were focused on topics such as, climate change, Sweden as a brand, Swedish Business in the United States and the Swedish entrepreneurial boom. How do we encourage conversations on Sustainability in the next election? How can companies use their Swedish heritage to their advantage when expanding globally? 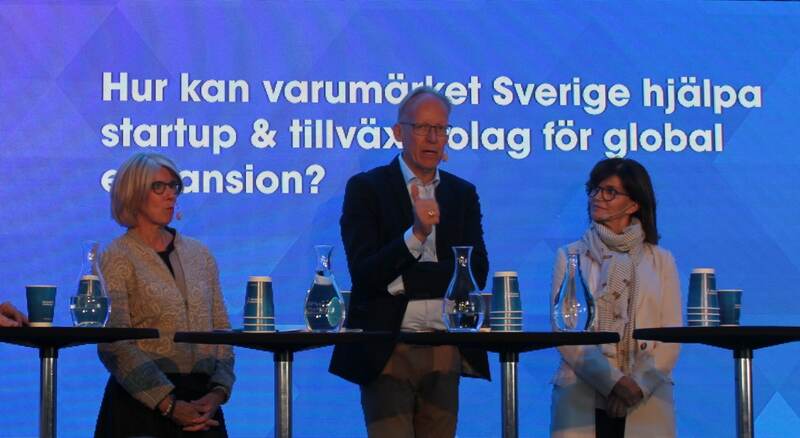 This seminar, organized by Serendipity Challenge, was focused on if and how Swedish companies can benefit from being Swedish when establishing their business in foreign markets. Sweden is perceived as a liberal and innovative country with an open-minded population. In fact, Forbes named Sweden the best country for Business in 2017. SACCNY’s President, Anna Throne-Holst, claimed that in today’s world, companies need to focus on more than solely making money, for instance taking environmental responsibility or ensuring gender equality, and that Swedish companies are among the best in the world to take such action. She continued, “ In my opinion, Sweden has taken over as the land of opportunity today; the access to free education and the existing safety net provided by the government makes Swedes able to take risks and able to serve as a great example when going abroad.” Annika Rembe, Director-General of the Swedish Institute, further noted that Sweden is also world-leading in Sustainable development, and Swedish firms can inspire and educate foreign companies on how to operate more environmentally friendly. In conclusion, all participants in the seminar agreed that being Swedish is a great asset for companies when expanding abroad. The Swedish entrepreneurial boom – how long can it continue? Swedish Investment in the U.S.
On the 4th of July, the U.S. Independence Day, The American Chamber of Commerce in Sweden (AmCham) invited panelists to discuss Swedish Investment in the United States. Johan Marcus, Executive Director of SACC-USA started the discussion by stating, “Sweden is creating jobs in all 50 states, 25,000 in New York: The U.S. is vibrant, the economy is good and Swedish Investment is increasing in the U.S.” With a passion for helping Swedish businesses grow in the U.S., SACCNY President Anna Throne-Holst explained how the Chamber’s ambition will be particularly bolstered with the launch of our new initiative Gateway. On the topic of Gateway during the panel, she stated: “Our longtime members will use it as a home-away-from-home and will also function as a launching pad for entrepreneurs, wanting to internationalize into the U.S. market. It will be the place for cross-pollination and co-creation”. The panelists agreed that the U.S. market is profitable and has never been as accessible for Swedish companies. Every morning and evening, Nasdaq marks the beginning and end of the trading day with a bell ringing ceremony. During the Almedalen Week, Nasdaq brought the bell to Gotland. On July 5th, Anna Throne-Holst was asked to do the honor of initiating the trading day by ringing the bell.